Work on figurative language with your students? I love using idioms in therapy that are by a theme! This is a great theme: outer space. 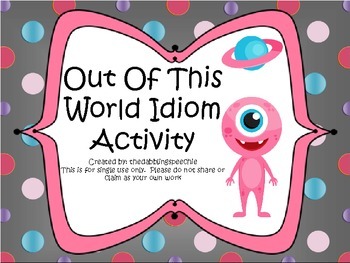 We use so many great idioms with an outer space theme, that I made match up cards along with some fill in the blank worksheets.